We are involved in engineering a wide range of Side Guide Roller, that perfectly meet the system requirements for standard or speciality drive systems. Largely used in varied industries, these products efficiently enhance the functionality of conveyor system. We fabricate these products keeping into view the accurate dimension and excellent durability. We also have competence to offer them as per the demands of our industrial clients. 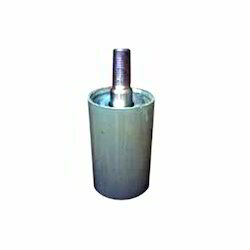 Looking for Side Guide Roller ?